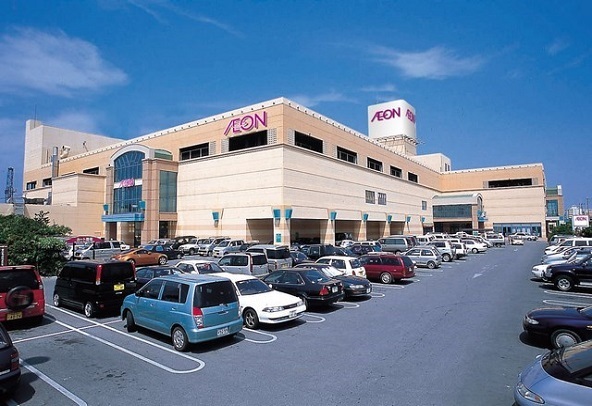 Located in the most trendy location, American village, Chatan.Whether you’re looking to buy Okinawa souvenirs or clothes, Aeon Jusco Chatan houses numerous stores such as supermarket, electronics store, household goods store, restaurants and more that will meets your needs. ・AEON Chatan Foreign currency exchange. ・Yu-cho bank (ATM)→Yen cashing out available with VISA card. ・Seven (Men’s accessories) *Inside of Chatan world Market. ・RETRO(japanese design Cloths). *Inside of Chatan world Market. ・FLAVE (Men’s accessories) *Inside of Chatan world Market. ・Sukiya (Gyu-don: Beef meat on rice).